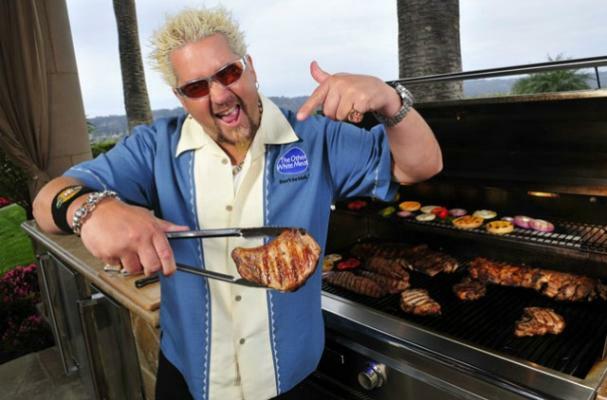 Guy Fieri has a Meat Variety Pack available for sale at Costco stores. The celebrity chef and television host has put together 14 pounds of specially spiced mixed meat for $139.99. Some people are none-too-pleased with the price of Fieri's variety pack. At $139.99, consumers will be paying about $10 per pound of meat. Would you buy Fieri's mixed meat pack? Not at the current price. Yes!!! That all sounds yummo! $10 a pound = $4 a pound is his pocket! NO WAY! I will keep my money for a real dinner at Spago by a real chef! no, I would not buy this pack.....I have tried his marinated Santa Maria Tri Tip bought at Costco and it was SO salty it was hard to eat, very disapointing!